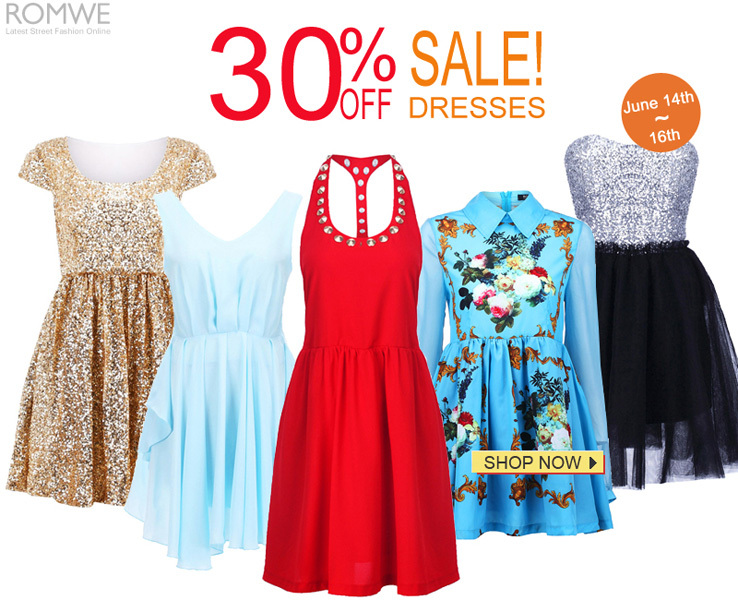 Joys Of A Wife And Mom: Romwe Dresses On Sale! When I was single, I never really had an interest on dresses. I don't feel comfortable wearing them. But when I became a mother, I don't know what happened but I started liking dresses! In fact, I can't remember the last time I have worn my jeans. I feel comfortable wearing either shorts or my mini dresses. I think motherhood really changed my sense of fashion. Love it! Hihi! So, when I saw that Romwe dresses are on sale, I immediately checked the website! And I must say that they're all so pretty! Look!